Here's my prototype for March 4th. The theme was "Escalation". Any feedback is welcome. In the game you score up when you reach the yellow box. Touching red circles kills you. You can change your size by using w and s keys. The bigger you're, the slower you move and vice versa. At maximum size you stop. 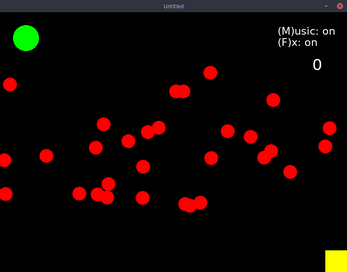 Since the positions of the red circles are randomly generated, sometimes it's easy, sometimes it's hard. You try to reach your maximum score.